Dior Addict (Parfum) is a perfume by Dior / Christian Dior for women. The release year is unknown. The scent is sweet-creamy. Projection and longevity are above-average. It was last marketed by LVMH. This is a variant of the perfume Dior Addict (2002) (Eau de Parfum) by Dior / Christian Dior, which differs in concentration. 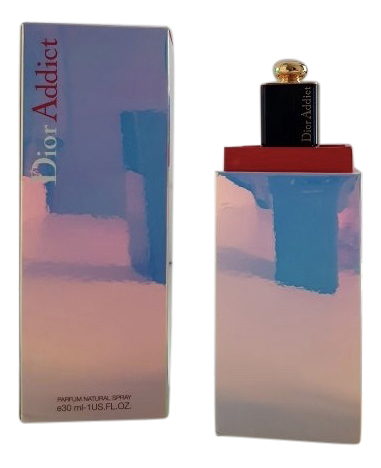 The Dior Addict perfume is a must for every lover of the Dior Addict EDP (2002). It is a so-called Extrait, i.e. the pure perfume concentration of the fragrance. In general, to the Dior Addict fragrances is to say that there are 3 reformulations of the fragrance. The starting shot for Addict was fired in 2002 when Thierry Wasser developed the EPD and created a completely extraordinary fragrance. The unique fragrance is the so-called "Queen of the Night", a cactus blossom that blooms only one night a year and not only looks beautiful, but also exudes a beguiling, powerful vanilla aroma. In 2008 the bottle was changed for the first time. 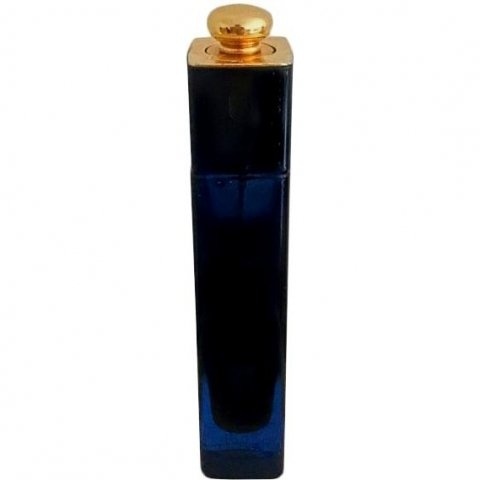 This was designed somewhat narrower and the Dior Addict lettering in the 2002 version was still dark blue like the entire bottle, so it was printed in gold from 2008. The fragrance recipe has not changed in the course of this bottle design. In 2012 the fragrance was reformulated for the first time and the bottle was changed again. This time it has been decorated with a golden ring in the upper part of the bottle. Some fragrances were no longer used and the recipe reduced, but the Queen of the Night was retained by the EDP. Finally, in 2014, the fragrance was reformulated for the last time. The queen of the night was completely omitted, which gave the "newest" Addict version a different touch. The bottle has also been redesigned, whereby the lid no longer has the usual unique "turning function", but is now designed in a classic pull-off design and is now available in silver and no longer in gold as before. Many enthusiasts of the Addict 2002er original are of the opinion that the Queen of the Night is decisive for the fact that the 2014er version appears differently than the original. If you make the direct comparison and spray both fragrances at the same time, you almost get the impression that the fragrances smell relatively the same. But very quickly it becomes clear: The 2002 version smells more refined, has a certain depth and fullness which the 2014 version does not have! Some sources claim that it is not the rare cactus blossom but simply "oakmoss" which is responsible for the characteristics of the 2002 version! By the way, this fragrance ingredient can only be found on the cardboard box and is therefore often overlooked. Nowadays oakmoss is no longer used in fragrances because it has been banned. So much for the history of this unique fragrance! Just like the 2002 EDP, the fragrance starts with the tart, slightly greenish freshness of the tangerine leaf, but from the very first second the warm vanilla character of the Queen of the Night resonates with the fragrance - and that's not too close, because we're talking about the extra of the fragrance! The vanilla aroma is only emitted through the room and slowly but clearly you can perceive the orange blossom as well as the rose, which is a very dark, deep rose that is beguiling. The orange blossom gives the vanilla a slightly fruity, tart touch so that the sweetness comes to bear better. Towards the end, the tonka bean and the sandalwood resonate, giving the fragrance depth! The bourbon vanilla does the rest and ensures that the fragrance is anchored to the wrist. At the very end a certain uniqueness remains, which can still be perceived for hours. Is that the oakmoss? As mentioned at the beginning, this version of the fragrance belongs in every collection for Addict lovers! A valuable vanilla nectar with great SEARCH factor!!! Write the first Review for Dior Addict (Parfum)!